And what am I knitting? 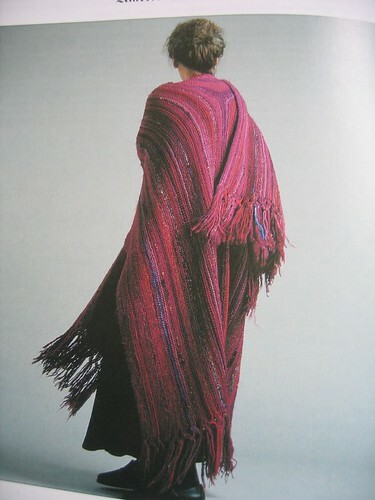 The Knitted Ruana from Folk Shawls by Cheryl Oberle. could you bring the pattern along tomorrow so I can have a look? It looks like just the thing for autumn! WOW! That is amazing – very impressive. 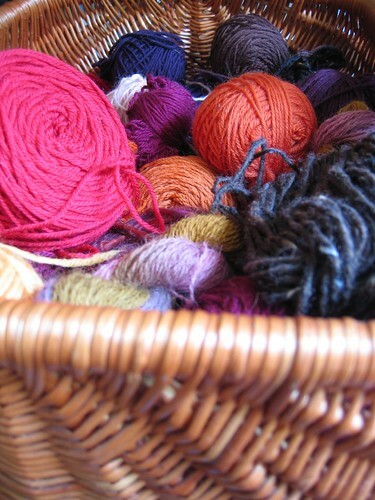 ONLY 236 stitches a row – that is lots of stitches to me…. And I was worried you might get to the peg bag before me! Your Ruana is STUNNING! That in itself is reason enough for me to learn how to knit!